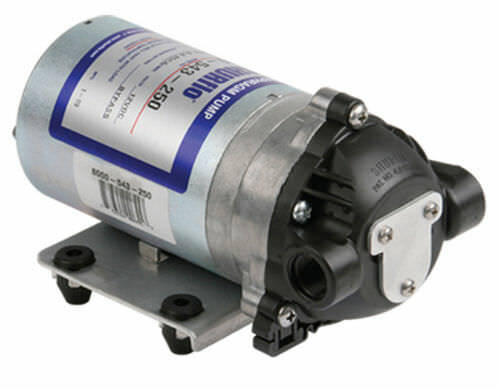 8000 series internal bypass pumps are ideal for applications where an automatic demand switch is not desired. Pumps with bypass will continue to run without damage once the bypass pressure is reached. They incorporate a triple chamber design with Viton® elastomers to withstand the toughest applications. Perfect for spot sprayers, foam markers and transfer applications where smooth, consistent flow is needed.